Lydia Gwilt, A realistic, vicious portrait of a killer created by Wilkie Collins. She fascinated even Charles Dickens! Do you know who Svengali was, or Count Fosco, or Lydia Gwilt? All were famous villians of nineteenth century murder mysteries. All three raised issues about the society of the time 1860s to 1890s. After the discovery of “mesmerism” in the 1700s, renamed hypnotism by James Braid during the mid-19th century, it became a source of public fascination for thousands of people who attended demonstrations of hypnosis. Long hat pins were thurst into arms or tongues or other parts of the body that the unhypnotized subject would have found intensely painful. James Esdaile, a Scottish doctor put hypnosis or mesmerisim to good use in India where he used mesmerism as an anesthaetic for thousands of Indian natives at his surgical clinic. Yet, throughout the 19th century, hypnosis was viewed as something tinged with the supernatural, villainous and threatening, finally reaching an apotheosis in Svengali, a Jewish mesmerist in the crime novel, Trilby, who takes control of a beautiful young Irish woman. This young woman, Trilby by name, when hypnotized, becomes an outstanding singer, but in her normal state is tone deaf. The point, one might say was that a hypnotist (assumed to be male) could take control of a woman and “bend her to his will,” and there were real crimes committed during the century which were blamed on hypnosis. So the first villain on my must-know list is Svengali, who became almost as famous as the arch murderer, Count Dracula, in Bram Stoker’s supernatural mystery novel. Next on my list of must-know villians is Count Fosco, created by Wilkie Collins in the most famous gothic novel of the nineteenth century, The Woman in White. Fosco is a thoroughly modern baddie. No magic or supernatural things here. First, he has no remorse or concience. As he proudly tells one of the women he would make his victims: “I, Fosco, stick at nothing.” He is a great scientist and his knowledge of chemistry makes it possible for him to take life leaving no sign. Eventually, Fosco is defeated, but only just. 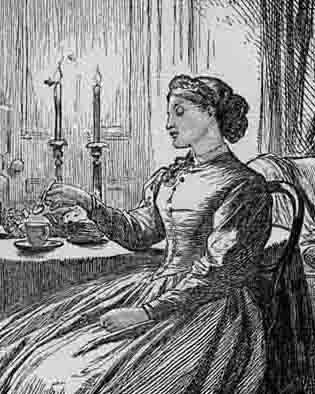 Last, and best of all is a remarkable murderer, Lydia Gwilt, again, invented by Wilkie Collins in the novel, Armadale. The thing that is remarkable about Lydia is that she is very human: repenting her worst deeds for a few moments without feeling sufficient contrition to permanently change her ways. She is beautiful and from the age of thirteen on, is a hardened killer who will readily resort to murder when she wants something. The great question throughout the book is whether she will kill the male protagonist, Allan Armadale, or not. I will not spoil the story and tell you. Lydia Gwilt is a true to life portrait of a killer. She will kill out of vanity, gain or many other motivations. When she acts, she murders without conscience and is highly effective. It is only that she becomes emotionally entangled with a “good” man that gives her pause in her murderous career. This entry was posted in Jack the Ripper, victorian crime, Victorian forensic science and tagged Count Fosco, crime detection, crime novels, forensics, Jack the Ripper, Lydia Gwilt, murder, murder mysteries, mystery books, mystery novels, Svengali, the Hanging of Jack the Ripper, the Ripper murders, victorian crime, victorian forensics, Victorian murders, Who was Jack the Ripper, Wilkie Collins. Bookmark the permalink.